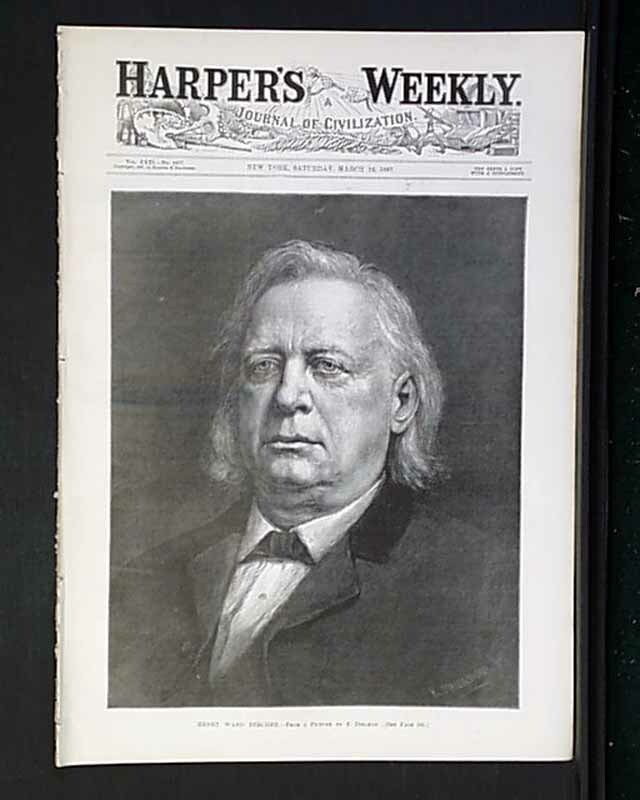 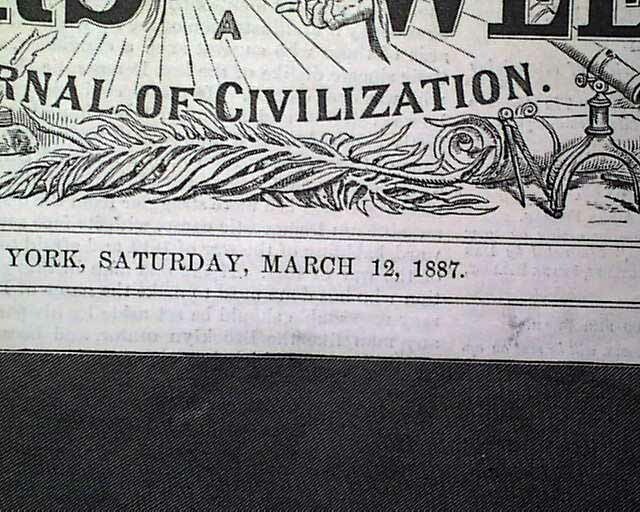 HARPER'S WEEKLY, New York, March 12, 1887 Full ftpg: 'Henry Ward Beecher'. 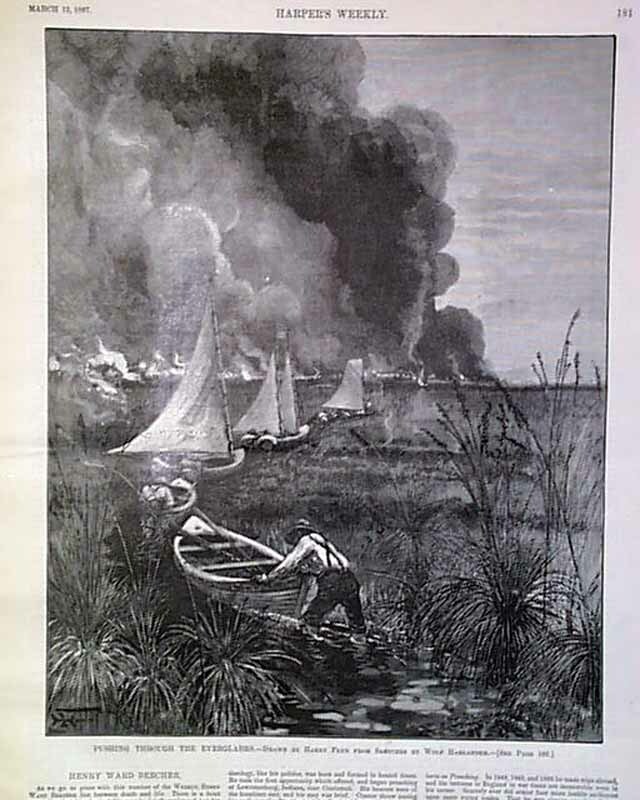 Fullpg: 'The Everglades of Florida' shows 5 scenes, including 1 of Lake Okeechobee. 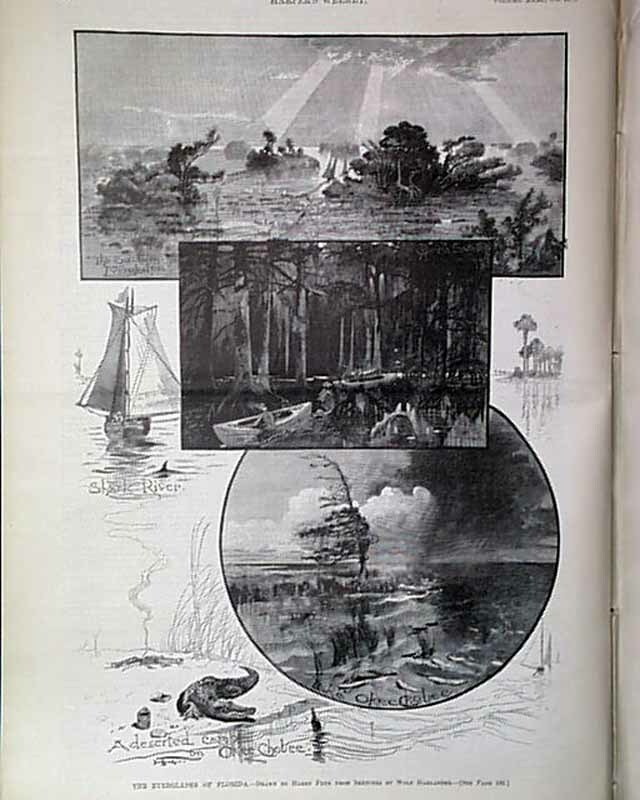 3/4 pg: 'Pushing Thru the Everglades'. 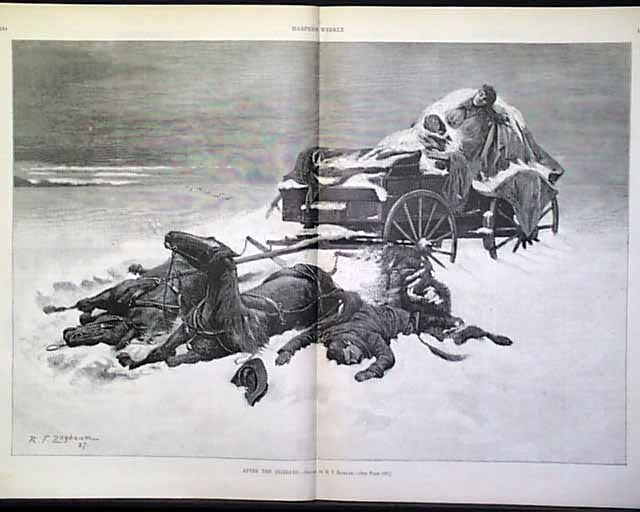 Dramatic dblpgctrfld: 'After The Blizzard' shows a dead family snowbound in their wagon. 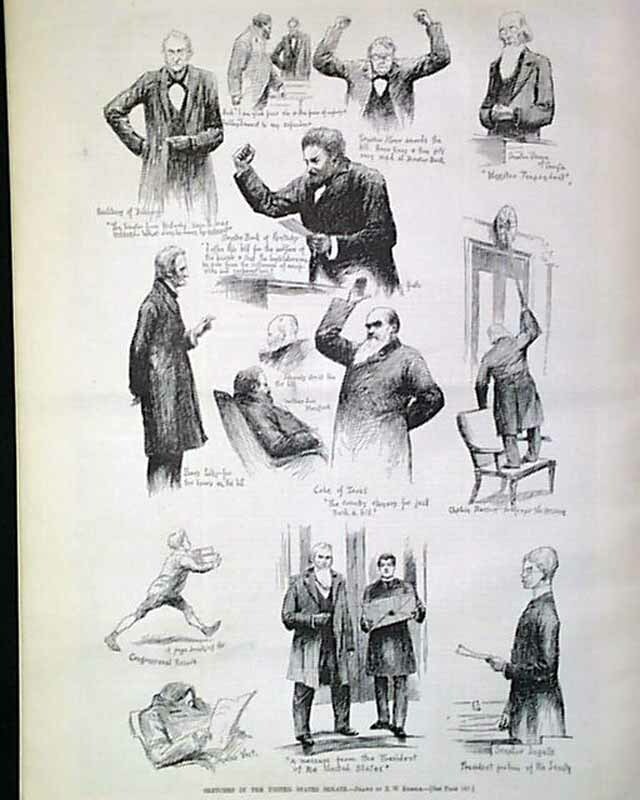 Fullpg: 'Sketches in the U.S. Senate'.